Habitat: South east asia and through out india. In order to keep pace with never ending demands of clients, our company offers Zingiber Officinale. Chemical Constituents and Components : Main chemical components are gingeole, zingerone, shogaol, zingiberene, cineol, borneol, phellandrene, citral, zingiberene, linalool, , chavicol, vanillyl alcohol, camphene and resin. 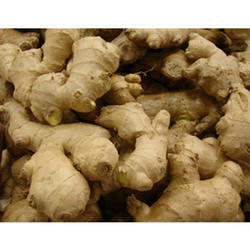 Properties/Usage: Gingerol is the main bioactive compound in ginger, responsible for much of its medicinal properties. It has powerful anti-inflammatory and antioxidant effects. It is a Carminative, a stimulant and a flavouring agent. 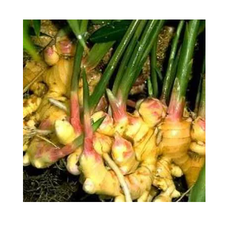 Dry Ginger consists of the dried rhizomes of Zingiber officinale divested of its roots. Externally the rhizome is pale yellowish in colour, its surface being longitudinally striated and bearing root scars. We are manufacturer and supplier of Sunthi (Zingiber Officinale) (Gingerol). Ginger is an herb. The rhizome is used as a spice and medicine. Ginger contains chemicals that may reduce nausea and inflammation. One of the chemicals in ginger i.e., Gingerol is also used as an ingredient in laxative, anti-gas, and antacid medications.